We have always been taught that calories mattered. That if you exercised you would lose weight, and if you exercise more you would lose more weight. But in fact, neither “fact” is true. It’s all about your metabolism and what foods work for your chemistry. When you exercise too intensely for YOUR body, you slow your metabolism, which means that not only do you slow weight loss, but you affect EVERY metabolic and cellular function that is essential for your best health. For some people over-exercise could be the 10,000 steps they are aiming for daily, for other’s their crossfit classes or running marathons. We are all different. Some of us have the genetics to be athletes, but most of us do not. Counting calories? Never works. Healthy foods like strawberries, quinoa, yogurt and turkey can cause inflammation which skews everything from your hormones, to yeast upticks and thyroid dysfunction. Chronic low grade inflammation causes obesity, premature gain and even diseases like cancer, type 2 diabetes, heart disease and auto-immune diseases. You are working too hard to not know EXACTLY what works for YOUR body. Because if you follow the precept of cutting calories, if you exercise too intensely for YOUR body, you will SLOW your metabolism. That’s what happened to the contestants on the Biggest Loser. But it’s not just them. I see it every day, every year with thousands of our clients. Stop the madness and find out what works for YOU. That’s The Metabolism Plan. “The Biggest Losers did what it took to be winners. They cut their grapefruits in half and separated their whites from their yolks. They spent more time at the gym than most of us spend at the office. Some of them shed an entire pound of fat each day, and on average, they lost 128 pounds each over the course of the 30-week reality show. And then they gained much of it back. According to a devastating new study published in the journal Obesity and written up in a widely shared article by the New York Times last week, only one of the 14 Biggest Loser contestants studied weighs less today than when the competition wrapped. Four of them are now heavier than before they went on the show. 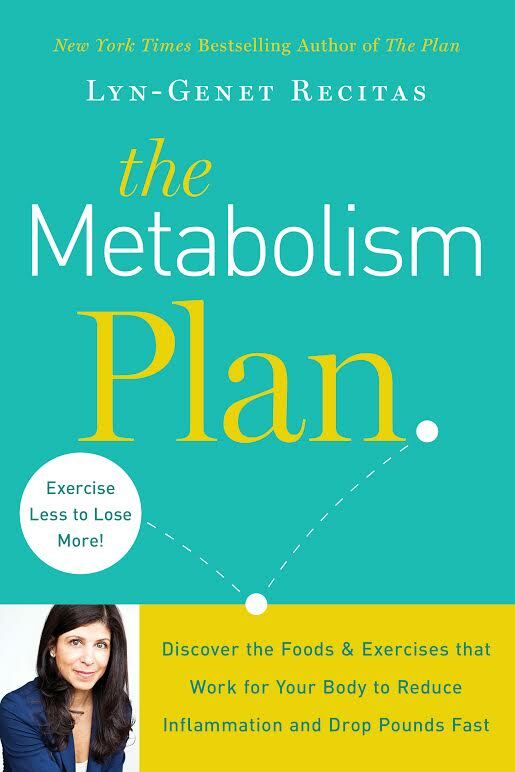 Find the foods and exercise that work for you, read The Metabolism Plan. Nutritionist and NYTimes best-selling author of The Plan, The Plan Cookbook and The Metabolism Plan.